Thank you members of the NABJ Constitutional Committee for your hard work on our governance model and structure. The amendment to change the way NABJ is governed has brought some serious debate over how our nonprofit organization should operate in a changing digital media landscape. I voted NO to amend the NABJ Constitution. Membership categories should not be expanded as outlined in the amendment. For example, the emerging journalist category disenfranchises working journalists with less than five years experience. I joined NABJ as a student member in 1977, two years after the organization started. Like so many other young people during the first five years of our careers, we paid our dues, found our way to regional meetings, and if we were lucky, the national convention. By any means necessary. As young leaders, we sought out leadership. We served in NABJ local chapters. We positioned ourselves to run for a seat on the national board. Our next generation of journalists should experience the extraordinary times that we did. And more. We should not create an emerging journalist membership category that excludes members from serving on the national board during the first five years of their careers. Here is a chance to nominate a colleague or self-nominate for the Council for the Advancement of Science Writing most prestigious prize – the Cohn Prize for excellence in medical science reporting. The award celebrates a journalist who has produced a body of work that is tough, high-impact medical journalism. Since the award was launched in 2000, mostly reporters at larger mainstream media organizations have won the award. But freelancers are also eligible. There is a wealth of very impactful work written about health science produced at less-visible Black owned or regional outlets. No doubt that the nomination committee has been missing out on great medical science reporting directed at minority audiences. This year, CASW will consider online work. This opens up a tremendous opportunity for NABJ members, specifically Healthy NABJ and Digital Journalism Task Force journalists. support may be uploaded either as part of the nomination package or via a separate submission form provided for recommenders. Prize includes a $3,000 cash award and travel to ScienceWriters2014 annual meeting in Columbus, Ohio. More information about the award, including a list of previous awardees, is here. Voices: A blog at Scientific American that explores and celebrates diversity in science. @ScienceWriters – National Association of Science Writers fosters the dissemination of accurate information regarding science. Dr. Danielle N. Lee, @DNLee5, is a science blogger and member of the National Science & Technology News Service. Thank you to members of the National Association of Black Journalists’ Constitutional Committee for your leadership and service. Your commitment to NABJ is commendable. I voted NO to amend the NABJ Constitution for two reasons: one, this proposed new governance structure has no immediate profitable fiscal impact on NABJ. Rather, it increases the size of an already 14-person BIG board. So why remove two board positions and create two new board positions? Over the past few years, the downturn in the economy has set a new standard among nonprofit leaders to improve the efficiency and effectiveness of their operations. That said, it’s prudent to reduce board positions and keep travel and expenses at a minimum. Let us also remember that in recent NABJ elections, we did not attract enough candidates to run for national office. Many of those seats were filled as appointments by a new president. Two, the amendment doesn’t represent an overhaul of our governance model. Instead, it is the same structure we set up 40 years ago, with the addition of board members. Again, more costs. What we need is a national leadership model that outlines a financial sustainability plan to rely less on our cash reserves that are becoming more difficult to replenish year after year. Therefore, I cannot support this amendment to the NABJ Constitution. 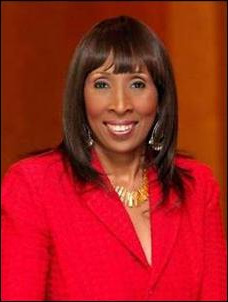 Sheila Brooks is a former NABJ Secretary (1986-91), a three-term national board member, the founder of NABJ-TV and the NABJ Monitor, and an NABJ member since 1977. Every year at the National Association of Black Journalists Annual Convention & Career Fair, members looking to move up the career ladder have access to a unique program: The Executive Suite, July 30-31, 2014. The Executive Suite is an exclusive series of workshops led by news and corporate executives designed to help middle managers who aspire to more senior roles to gain a better sense of what it takes o be an executive editor, a publisher, a news director or a general manager. Attendees of the two-day program walk away with a better understanding of the skills and relationships it takes to land and keep those jobs. From hiring and managing to building the skills and connections you’ll need to move up, the Executive Suite will help you prepare for advancement. 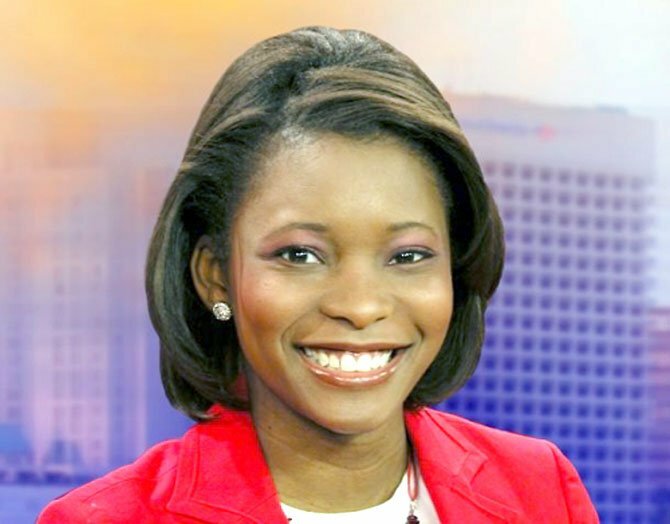 Ingrid Ciprian-Matthews, Vice President, News, CBS News. And there will be a special event on Thursday, July 31 when Keith Woods, Vice President of Diversity for NPR leads a conversation with Arthur O. Sulzberger, Jr., Publisher of the New York Times, and Dean Baquet, Executive Editor, of the Times. The good news is that they are still taking applications — but only until Friday, July 25. So if you think you have what it takes — or know someone else who does — send an email coordinator Duschene Drew, Managing Editor for Operations, Newsroom at the Star-Tribune at ddrew@startribune.com. And please put Executive Suite in the subject line. In the email, tell him why you think you deserve to be in the Executive Suite. It wouldn’t hurt to include a resume or a link to your portfolio website. And please — pass this along to anyone you think may benefit from this great programming in Boston! 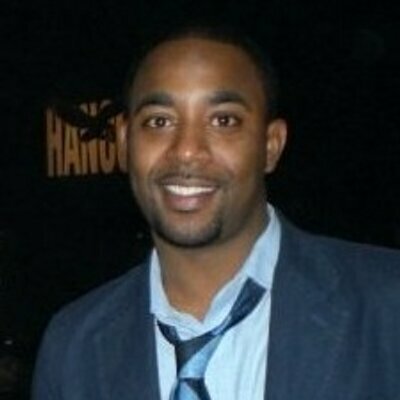 Benét J. Wilson is the vice president of education for the NABJ Digital Journalism Task Force. She also serves on the board of the Online News Association. She is the social media/eNewsletters editor for the Aircraft Owners and Pilots Association and a freelance aviation journalist and blogger. The National Association of Black Journalists is poised to celebrate its 40th anniversary in 2015 – and with the future in mind its membership is voting on proposed changes to its primary governing document during a special election this summer. I urged support for the amendment in a prior post. Last fall, the NABJ Constitutional Commission sought members’ input via two national surveys conducted online. About 100 did so each time. A governance survey focused on how NABJ could or should enhance its continuity and competency of leadership, consistency of purpose, institutional knowledge, etc. The survey introduction included this passage: “NABJ members every two years have elected a president to lead a national board of directors to govern the association. NABJ’s constitution requires that amendments might only be adopted if ratified by at least two-thirds of those voting in an election. The commission therefore decided to not pursue any changes that members were unlikely to support based on the survey. Q1: NABJ’s president should be able to seek reelection to a second term. The proposed amendment would allow the president to seek a single, additional two-year term, beginning with the 2017 election. Q2: Should NABJ move to a limited “ladder” system of succession, in which members vote for both a president and president-elect (or vice president who would assume the presidency next)? Once the president’s term ends, the president-elect or vice president would succeed him or her. Many members either disagreed with this idea or were unsure of its merits – and thus the proposed amendment does not include a provision for a ladder system. Q3: Should NABJ’s presidency be a paid, full-time position – rather than the current unpaid, voluntary role – in order to better meet the association’s demands (operations, advocacy, fundraising, membership recruitment/programs, chapter relations, etc.)? Many members either disagreed with this idea or were unsure of its merits – and thus the proposed amendment does not call for NABJ’s presidency to be a paid position. Q4: NABJ members should continue to elect the board of directors, however, the top elected position would be board chairman. The chairman and board would hire a president or CEO to serve as primary spokesman and run the association’s daily operations (advocacy, fundraising, membership recruitment and programs, etc.). Many members either disagreed with this idea or were unsure of its merits – and thus the proposed amendment does not call for changing the top elected leadership position. Not enough members seemed ready to reduce the board’s size to make it likely the idea would be ratified as part of an amendment in an election. Q6: Should NABJ still elect each member of the board of directors to two-year terms, but now based on staggered terms? For example, one group of board seats would be up for election in one year, while a second group of seats would be contested the following year. The proposed amendment would allow for staggering board terms beginning with the 2015 election – and then an election held each year afterward. Q7: NABJ members should elect one vice president instead of having multiple vice presidents (e.g., one each for print, broadcast, digital, journalism educators, etc.). Not enough members seemed ready to have only one vice president to make it likely the idea would be ratified as part of an amendment in an election. Q8: NABJ members should elect at-large board members based on journalism skill sets and constituencies (for example, one each for print, broadcast, digital, journalism educators, etc.) more so than on geographic location (north, south, east, west, etc.). Too many members either disagreed with this idea, or were unsure of its merits, for it likely to be ratified – and so the proposed amendment accounts for leadership based on both where members live and what they do. The commission thanks all those members who participated in the governance survey. It also urges all full NABJ members to support the proposed amendment – to ensure it enables us all to build an even stronger organization, one capable of serving and empowering new generations of black journalists. Herbert Lowe served as NABJ’s president from 2003 to 2005 and is co-chairman of the constitutional commission. Previously a newspaper reporter for 22 years and communications director for the Congressional Black Caucus Foundation, he is the journalism professional in residence and director of journalism for social change at Marquette University in Milwaukee. NABJ’s Digital Journalism Task Force held its annual convention TweetChat July 15 to help attendees get ready for Boston. Check out tips given by veteran NABJ convention attendees Kelly Carter, Kathy Chaney, Kirstin Garriss and Justin Madden. We hope tips provided in this Storify to prepare for Boston will be helpful!